Our internal 60gb PS3 hard drive is now down to under 3gb's in free space, so we wanted to see what our options are in increasing this. 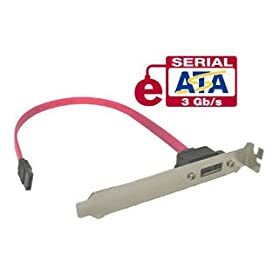 This is a nice tutorial we found on how to use an external SATA hd to replace the internal hd in the ps3. 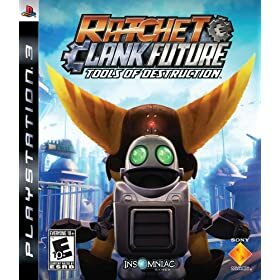 Ratchet & Clank Future: Tools of Destruction Goes Gold, Demo Coming! Ubisoft's Jade Raymond, our most favorite game developer, discusses the features of Assassin's Creed at Tokyo Game Show 2007. The characteristic of each city, Acre, Jerusalem, and Damascus, is explained. She also describes the weapons and equipment progression in the game. Here's the Tokyo Game Show 2007 Soul Calibur IV trailer in English from Namco Bandai. There are also some screen shots and illustrations from the game. Here's a hands-on video of Gran Turismo 5: Prologue from Tokyo Game Show 2007 from the Sony Lounge. Jeuxfrance shows us an extensive look at GT5P at the Suzuka Circuit. You can see the user go to the showroom and select a car. He then goes to the garage and plays with the icons...oh please Home icon work!!! He then goes to the pits where you can select "Race Mode," "Time Trial Mode," and "Drift Trial." He selects "Race Mode" and goes through the car options. The new in-car view looks great and you can see the driver shuffle his hands. Some new visuals from Tokyo Game Show 2007 of LittleBigPlanet. Unfortunately the audio is a bit muffled. The first trailer introduces us to the "fluff" scoring system. It was coins with Mario, rings with Sonic, and marshmallows for LittleBigPlanet. The more fluff the more items you get to make game levels. The race to beat the clock at the end was also cool. The second trailer shows LittleBigPlanet in edit mode. The ease of creation will make the game levels almost infinite. Here is the small blurb from Playstation.com about the 1.92 update. New for 1.92: Playability status with the PS3 system has changed for some PlayStation2 format titles. To check on the latest status, visit the search site for compatible titles (coming soon). A search site for looking up compatible titles is also in the works, as soon as its live, Ill publish a link to it here. 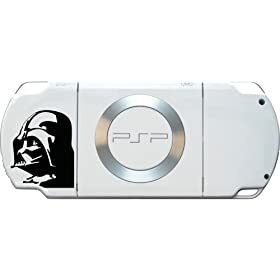 The odd thing about the update was that the system never asked for the Sixaxis controller to be connected to the PS3 via a usb cable. Sony announced today that the PS3 will indeed get a Dualshock 3 Sixaxis controller, rumble and motion sensing gamepad. It will be released in Japan this November and in spring for North America and Europe. This is finally possible since Sony has settled with Immersion corporation about the use of rumble in it's controllers. Here's a list of games that will support Dualshock 3 with a network upgrade. Here's a preliminary list of upcoming games that will support rumble with Dualshock 3. Here's the PlayStation Japan's press release. Here's the Thursday round-up of what's new at your nearest PSN store. There are 5 new demos for North America and 2 new games. Also a first, is a music download from the PSN store. We said last time was the biggest ever? Well Sony Online Entertainment topped itself. We hope this means more casino games! Music - first time on the PlayStation Store. Lair OST "Battle for Asylia"
Not sure what this one is, but we downloaded it. Here is the latest trailer for Insomniac Games' Ratchet & Clank Future: Tools of Destruction from the Tokyo Game Show 2007. And what's new for the PS3? It is scheduled to be released on October 23, 2007. 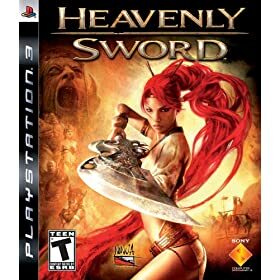 Heavenly Sword, one of the most anticipated titles for the PS3, is coming out on September 12 and GameTrailers has a video review of it. We are generally against reviews but this video shows a lot of features from the game, maybe too much. If you took advantage of the PS3 for $349 Deal, you are to blame for depleting the 60gb PS3 stock at SonyStyle.com. "We no longer have any inventory in SCEA warehouses. All inventory has been purchased and shipped to retailers," Sony's Dave Karraker said in an email. "We don't have visibility as to if that is on their store shelves or in their warehouses at this time. However, based on inventory reports from our retailers, there is ample supply still left in the channel." On Tuesday, it was revealed that Sony's online inventory had been fully depleted. In July, after slashing the PS3 price by $100, the company said that the now discontinued 60GB PS3 would be available for several months. At that point, Sony alluded that they may also reduce the price of the $599 80GB PS3 to $499 as many analyst expect. "We won't be making any further announcements regarding our PS3 model hardware strategy in North America until the 60GB model is exhausted and market conditions are evaluated," the company said at the time. If you act real fast, you can get the 80gb PS3 for $450. Amazon still has the 60gb PS3 in stock, as seen in this deal. A new trailer from Factor 5's Rise From Lair, or just Lair, in Japanese. If you've never seen a dragon split open here's your chance. Lair will start shipping next week on Semptember 4th. What is Interactive Ray Tracer for Cell Broadband Engine? Interactive Ray Tracer for Cell Broadband Engine demonstrates the power of the Cell Broadband Engine for interactively ray tracing high-definition television (HDTV) images of complex scenes. Interactive Ray Tracer can run on both the Playstation 3 and QS20 Cell Broadband Engine-based platforms. A single Linux binary is supplied that renders the provided scene. Interactive Ray Tracer serves as an example to those interested in the digital media, graphic rendering, and high-performance computing aspects of the Cell Broadband Engine's capabilities. Interactive Ray Tracer has been shown at three major conferences (Super Computing '06, Game Developer's Conference '07, and SIGGRAPH '07) and is now available as a downloadable demonstration for users with access to either Sony Playstation 3 or QS20 Cell Broadband Engine-based hardware. A demonstration model is provided, allowing users to animate in real time a three-dimensional, high-definition model using the tool. Interactive Ray Tracer in action (movie). Download and install the iRT-1.0 and iRT-scene-1.0 RPMs. The application and scene data will be located in /opt/ibm/iRT. Documentation and license are located in /usr/share/doc/iRT. For further details, please see the irt_readme.pdf file. You can read more and download the Interactive Ray Tracer for the PS3 at alphaworks.ibm.com. A special version of Ridge Racer 7 is being used to test 3-d or stereoscopic gaming on the PlayStation 3. It utilizes 60 fps and 1080p. The formal showing will be at CEATEC Japan and Asiagraph in October. This is all we can gather since the source is in Japanese. How does it work? Here's a brief explanation from nhk-ts.co.jp. 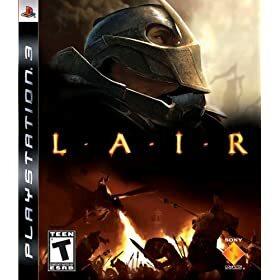 Lair is the first North American title to allow Remote Play through the PSP. The analog stick is used for controls instead of the Sixaxis motion sensor on the PS3, which some have trouble with. Here's the post on the US PS3 forums, please laugh at the ridiculous responses. You will need a PSP with 3.5 firmware with Remote Play support. Mainichi Issho from Japan can also be play through Remote Play. Mainichi Issho, literally translated as Everday Together, is a free "game" for the Playstation 3 system that can be downloaded from the Playstation Network Store. The main character, is a white cat named Toro (previously from the Doko Demo Issho PocketStation game). You can play some simple games against the computer or other players online, decorate Toro's room, buy stuff from the PSN store or Myali Store. Ninja Gaiden Sigma - A new mode called "Survivor." The first theme of Survivor network play is "Weapon Master." As the name implies, you must master a limited number of weapons to clear five levels of Survival. Learn the special properties of each weapon to eliminate as many enemies as possible. A Banpresto game with Japanese characters coming out of a mirror. A Sunsoft game pack - 3 games.